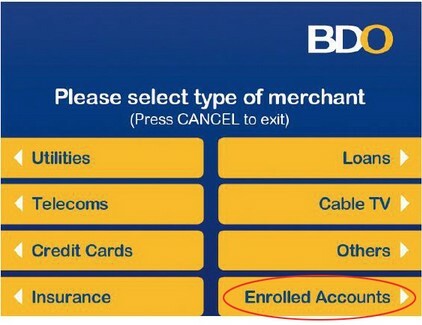 Enrollment is required for bills payment facility through ATM. 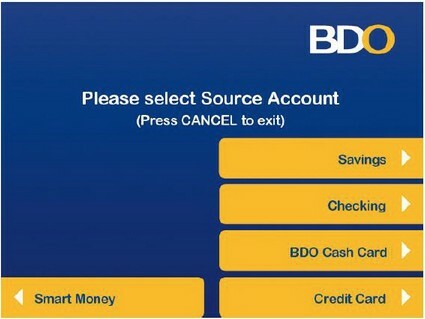 Visit BDO's website (www.bdo.com.ph). 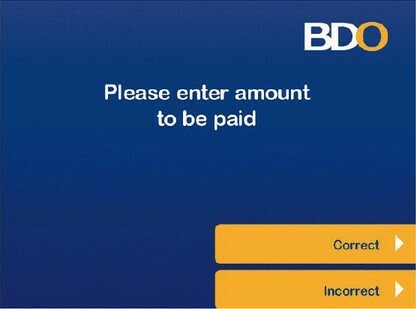 Insert your card and the ATM will immediately eject the card and the ATM screen will display the message below. 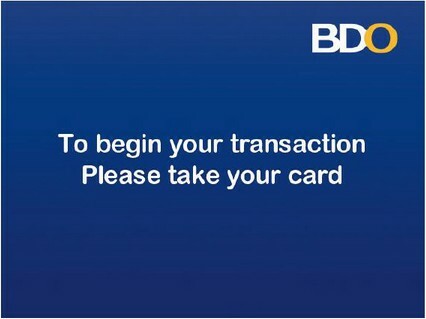 Take your card to begin your transaction. 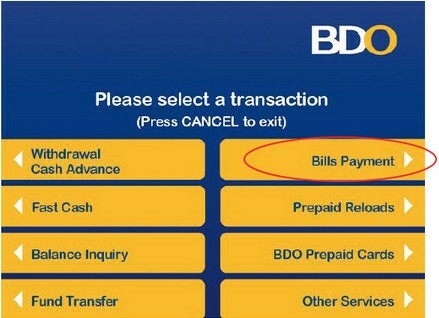 Select "Bills Payment" button in the transaction selection screen. Select the type of account you would use to pay. Note: For accounts with more than one merchant subscriber number enrolled, a selection screen will appear. 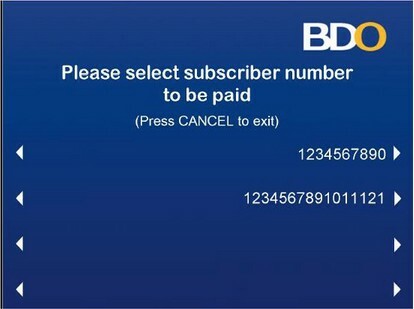 Select the subscriber account number to be paid. 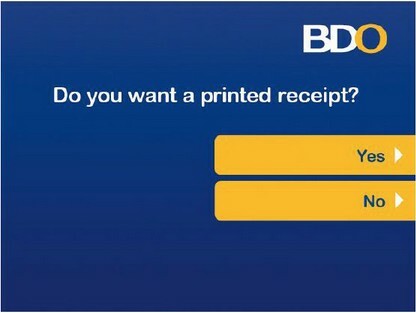 Print receipt option will be displayed. 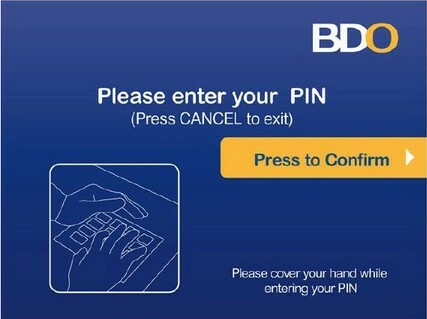 Enter your BDO 6-digit PIN. 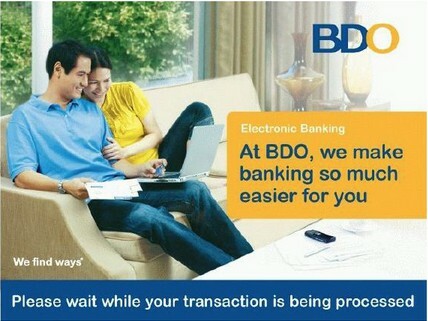 Please wait while the transaction is being processed. 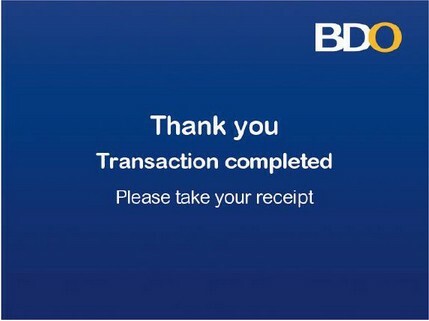 Confirmation screen below will appear once the transaction has been processed.